Description and Similar Species: Wingspan 68-90mm. Sexes similar but can be distinguished if the dark andoconial patch on the hindwing of the male can be seen (see above photo). These scent scales are used to disseminate pheromones during courtship and are not present on females. 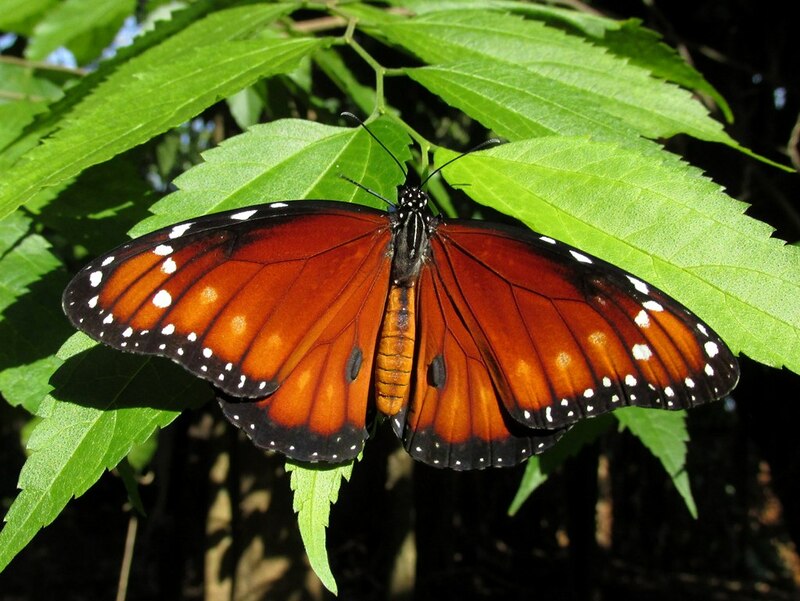 Probably indistinguishable in flight from the similar-sized Queen Danaus gilippus but when settled the white edging to the veins on the underside of the latter are clearly visible. 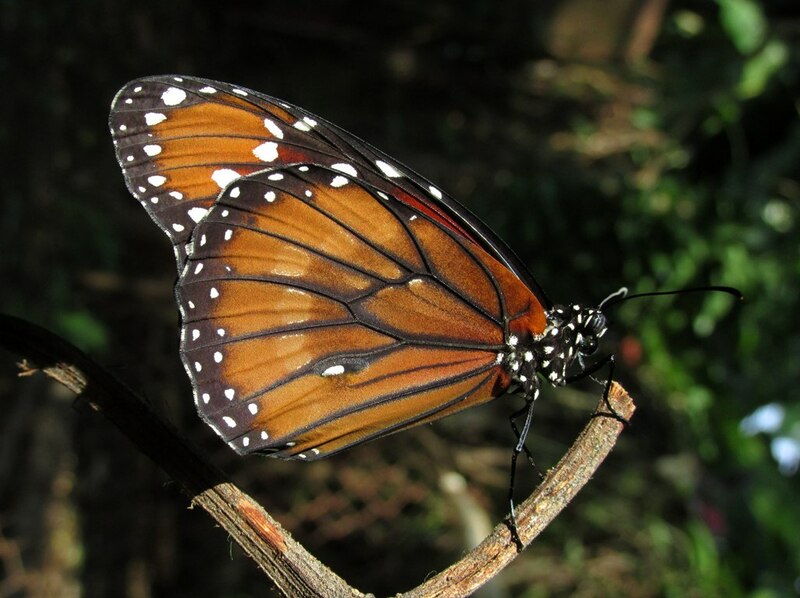 The Monarch Danaus plexippus is larger and has a slower more floppy flight with many glides. 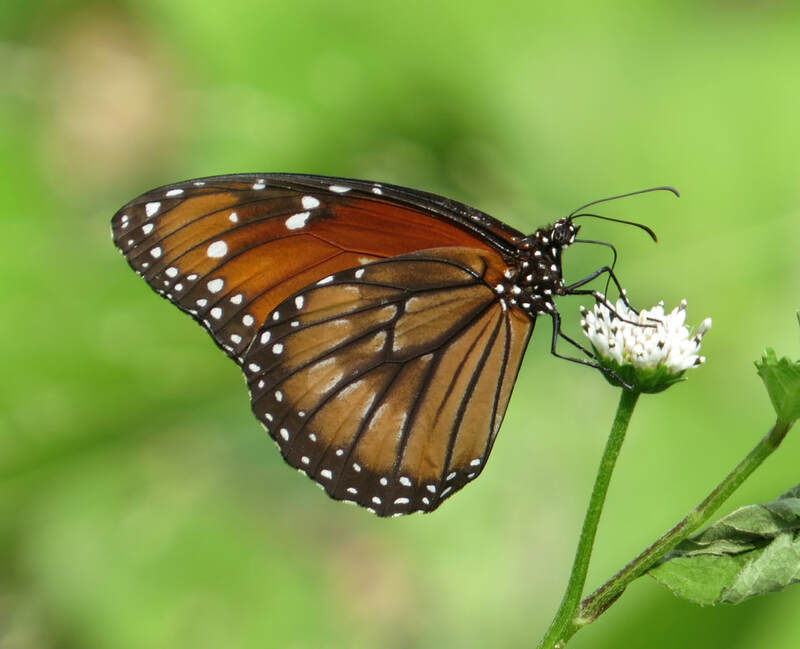 The Viceroy Limenitis archippus is a rare straggler to Cuba and can be distinguished by the black post-median line running across the hindwing. Range: Southern USA south to Brazil and most of the islands of the Greater Antilles. Status: Said to be widespread throughout in open areas though we have yet to see one! Nectar Plants: Many flowers especially Bidens alba, Chromolaena and Antigonon. Larval Foodplants: Unknown in Cuba but Hernández suggests that it may be Calotropis procera or Asclepias curassavica.